“By feasting on nutrient-dense foods, you can lose weight faster and more efficiently. The goal of this crash diet is to dive right in, making the habits you learn and the recipes you make in the next 7 days part of a healthy and sustainable lifestyle,” a description of the diet touts. Oz says you can eat all you want (within reason) and still lose weight in just seven days, but you have to stick to foods with the highest amount of nutrients such as fruits, vegetables, seeds, nuts, whole grains and legumes. Meat and dairy consumption are restricted (due to their high content of saturated fat). And although I agree that the majority of our diet should include nutrient-rich foods, there is something about the language and motivation surrounding this diet that I find a bit disturbing. It justs seems highly contradictory to say that a crash diet will lead to a healthy and sustainable lifestyle. If the main focus is quick weight loss and how we look, as opposed to the need to nourish our bodies with nutrients in order to help prevent disease and live long and healthy lives, then I believe people who follow this crash diet will likely return to their unhealthy eating habits once they see results. I have no doubt that you can lose weight on this diet in a short period of time. But I think we have to stop stressing to the millions of Americans who struggle with weight issues that there are fast tracks you can take to dropping unwanted pounds and keeping them off. It is true that this diet does not stress calorie restriction as most crash diets do, but I think we need to toss the term ‘crash diet’ out the window. Using this kind of language may make people think crash dieting in general is an acceptable way of eating. In reality, it may contribute to other health issues. Reportedly, “extreme dieting has short and long-term risks with possible damage to the heart, kidneys and circulatory system.” And a recent study involving female rats showed that those who went on crash diets had more belly fat and less muscle than the rats who followed a less restrictive diet. (Researchers used female rats, because in the human population women tend to participate in more crash dieting). Some of the rats were given a 60 percent calorie reduction in their diet. To give some perspective, this would be like going from consuming 2,000 calories a day to only 800 calories a day. After just three days, the rats on the crash diet had lower body weight and their cycling (similar to a woman’s menstrual cycle) temporarily stopped. “The diet also led to a decrease in a number of metabolic factors and functions, including body weight, blood volume, blood pressure, heart rate and kidney function,” the report says. As we have previously discussed, belly fat (also called visceral fat) can be an especially dangerous type of body fat. 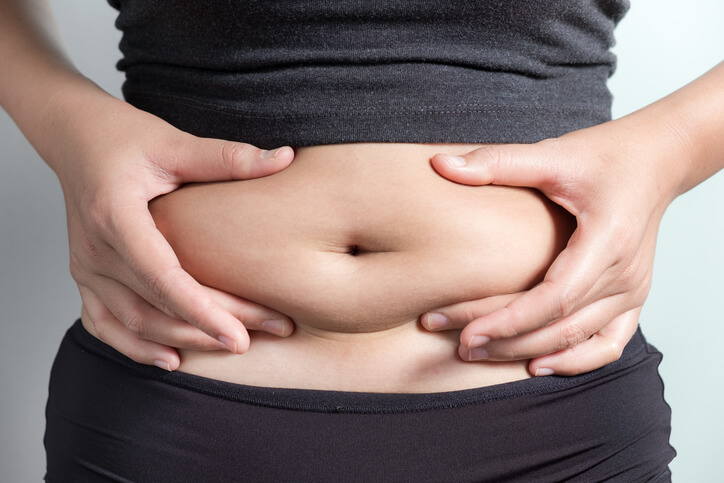 Visceral fat grows deep inside the stomach and may wrap around your vital organs. It may increase your risk of developing diabetes and fatty liver disease. In regards to the study, researchers found it especially disturbing that the rats on the crash diet had more of a response to a blood pressure-raising hormone in the body called angiotensin II. To put it simply, they had a higher risk of high blood pressure. So there is some evidence that you may get quick results from crash dieting, but you may have to pay some long-term health consequences. Find a Diet That’s Right For You. There is a ton of advice about dieting. It’s easy to get sucked into celebrity diet trends and other ways of eating that promise almost instant results. But ultimately, it is important to do what a competent healthcare professional who is familiar with your body recommends (especially if you have any existing health issues). If you are trying to lose weight, know that it takes time and permanent lifestyle changes. Eating healthily is the best gift you can give yourself, and in the long-term it’s not just your waistlines that will be thanking you for eating this way. Through a good and sustainable lifestyle including a healthy diet, you can help prevent chronic inflammation and a myriad of diseases. Weight Loss Tips I Endorse? Speak with a competent healthcare professional about going vegan for a few weeks to jumpstart your weight loss. Read here about specific nutrients you should avoid being deficient in if you want to lose weight, and take a nutrient test to determine any nutrient imbalances you may already have so you can correct them..